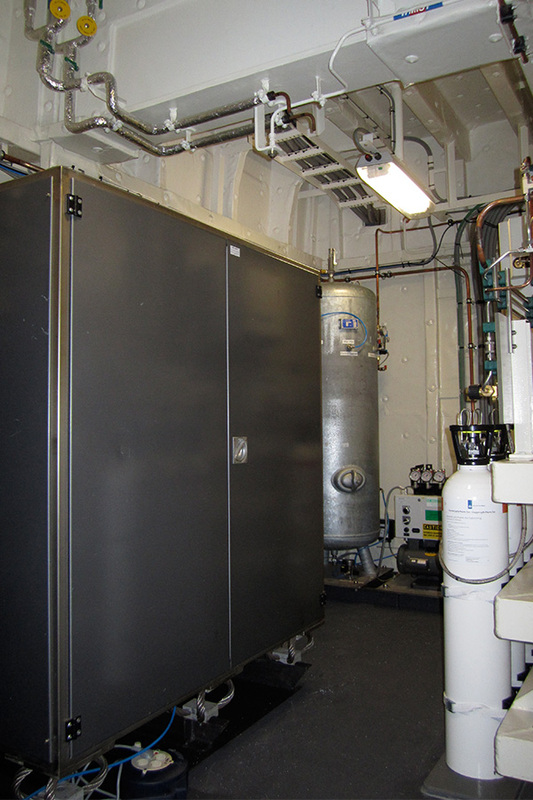 How do SGI oxygen generators work? The oxygen generator operates in the so-called Pressure- Vacuum- Swing- Adsorption- Process (PVSA) with zeolite. By means of the PVSA- process the oxygen content of the environmental air is concentrated up to a purity of 95 ± 2% oxygen, the remaining gases are mainly argon and nitrogen. The oxygen plant is supplied with ambient air by a feed air blower. Nearly all nitrogen in the feed air will be adsorbed in two adsorbers (A and B) by specific molecular sieve of modified alumino silicate. Both adsorbers operate with the alternating pressure/vacuum mode (PVSA - process). While adsorber A is producing oxygen and adsorbing nitrogen the adsorber B is reactivated by reducing the pressure to vacuum and subsequently purging with produced oxygen. This process is reversed after the reactivation period and pressure increase. The adsorbers are evacuated using a special designed vacuum pump-set. The concentrated oxygen leaves the plant at a pressure level of 0,25 - 0,5 barg. For higher outlet pressure an oxygen booster compressor will be used. With the SGI PVSA technology it is possible to run the PVSA plant generally with lower energy and in simple and low energy part load operation. The part load operation is depending on and controlled by the pressure in the oxygen product tank.When a max. pressure is reached in the tank the part load process will be switched on as long as the pressure drops to a minimum pressure again. 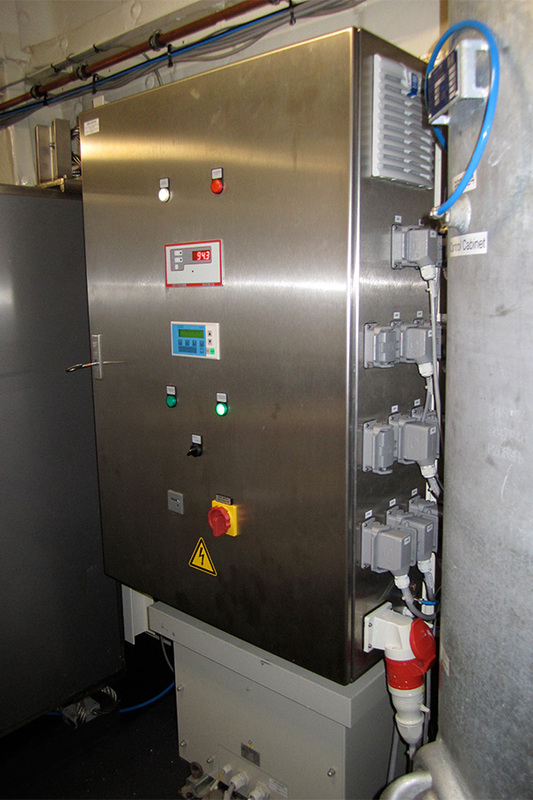 During this period the PVSA plant switches off for several idling machine cycles stops oxygen production. The production of oxygen starts again when the minimum pres-sure is reached. Therefor it is possible to run the PVSA plant between 0 and 100 % in a stable and low energy consuming operation. 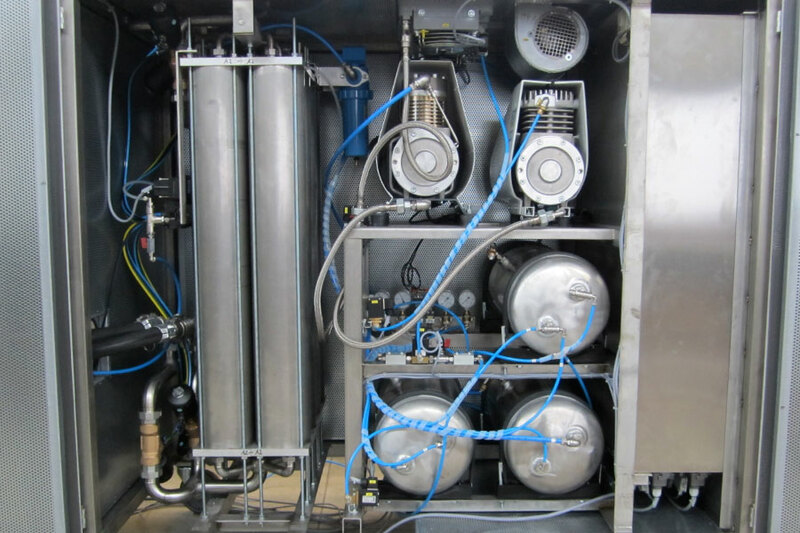 The SGI ProcessVac oxygen plants are delivered completely mounted on component skids. 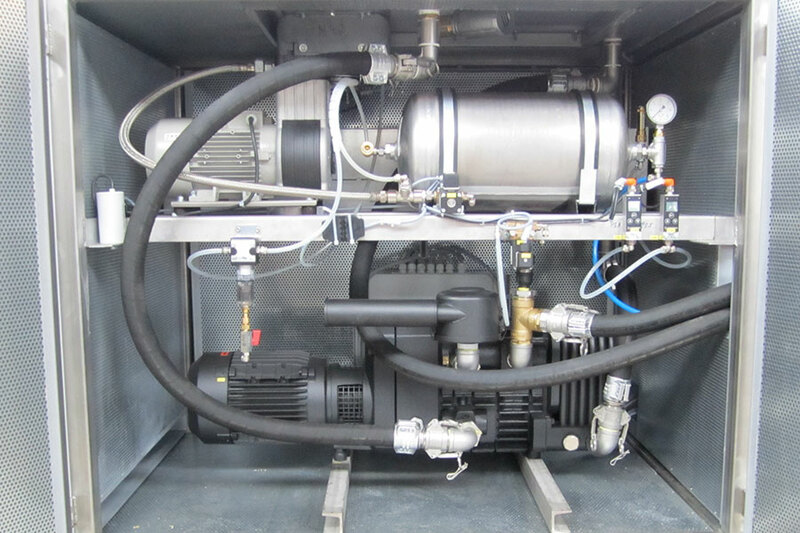 As well all machinery like blowers, vacuum pumps and compressors may be installed in a container. 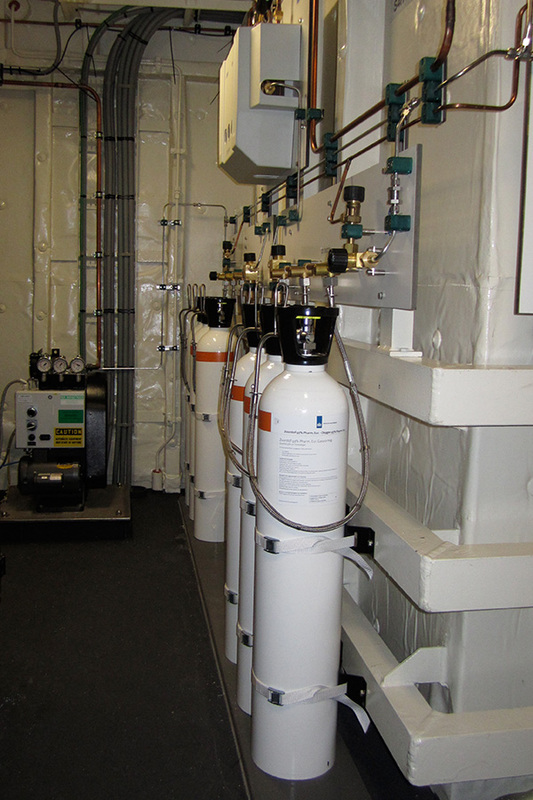 The SGI OxyVac oxygen plants are installed within a moveable box or in a container for flexible use on site. Because all systems are well tested in our work shop there is an easy installation and short start- up at customer's site. Especially those systems which are installed in containers need only to be supplied with electrical power and are ready for use.